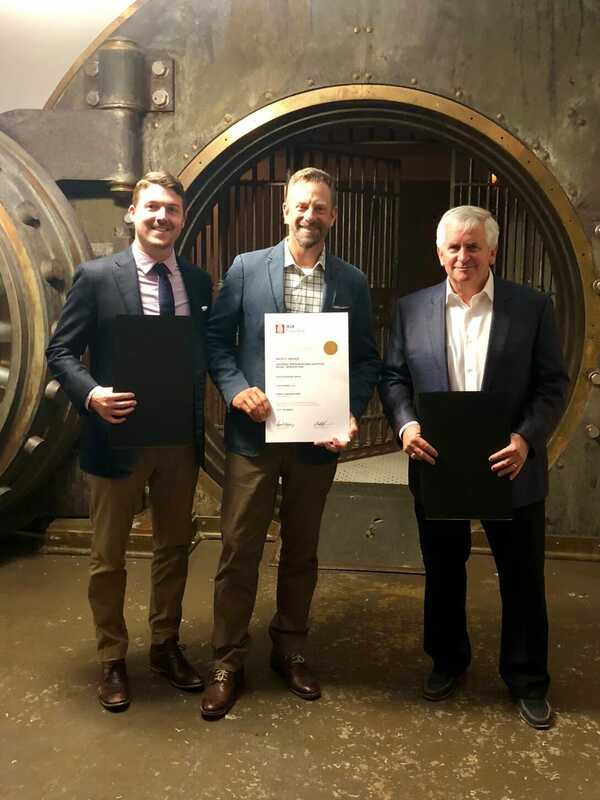 Garvin Design Group proudly accepted the American Institute of Architects (AIA) Columbia’s 2018 Merit Award for Historic Preservation/Adaptive Reuse/Renovation for its City Market project at this year’s Design Awards dinner and ceremony on Thursday, November 1. Garvin Design Group and Hood Construction began the City Market rehabilitation project in 2014. Located in the heart of the Vista, City Market consists of three of the oldest surviving buildings in Columbia (705, 707, and 711 Gervais Street), ranging in original construction date from the 1860s to the early 1900s. The complex of buildings was formerly known as City Market Antiques Mall. 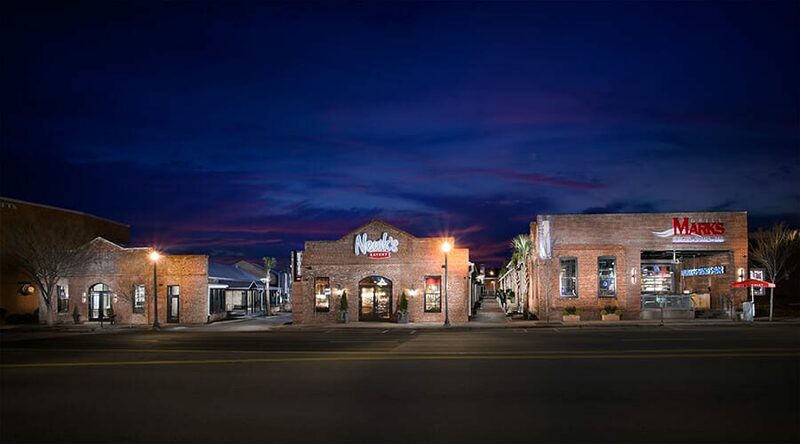 The primary goal of the adaptive reuse project was to return the existing buildings to their original industrial form while capitalizing on opportunities for mixed use development. Reopening the infilled railroad track between 707 and 711 Gervais created a public alley that provide access and daylight to both buildings. Each of the three buildings’ façades was reconstructed using existing brick and returned to its original form based on historic photographs. The complex is now home to two apartments, restaurants Grill Marks, Newk’s, Twisted Spur Brewing, and smallSUGAR, and a venue space known as City Market Place. Photo credit: Brian Dressler Photography.